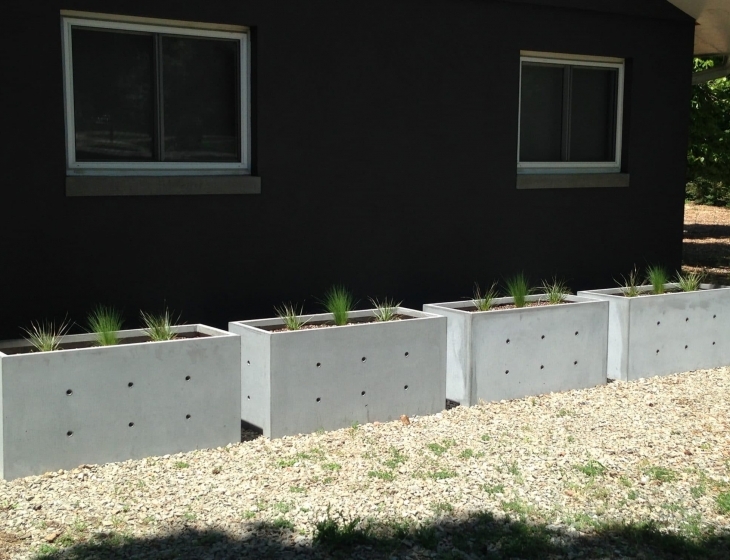 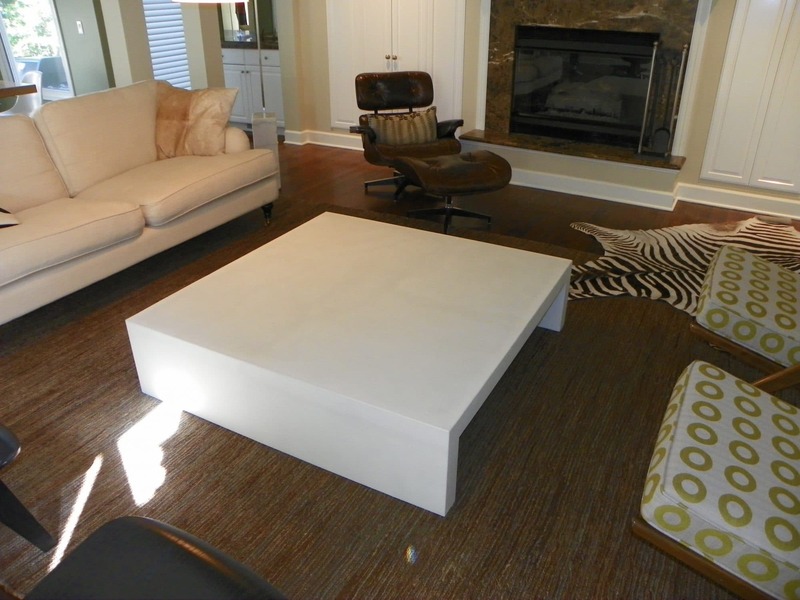 Commissioned by a homeowner in Cherry Creek North who could find nothing commercially available that suited her vision. 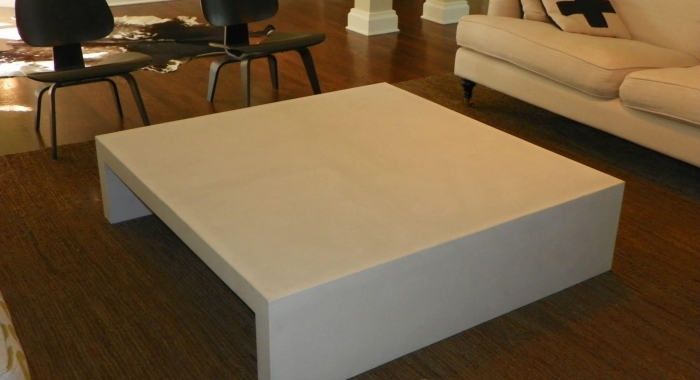 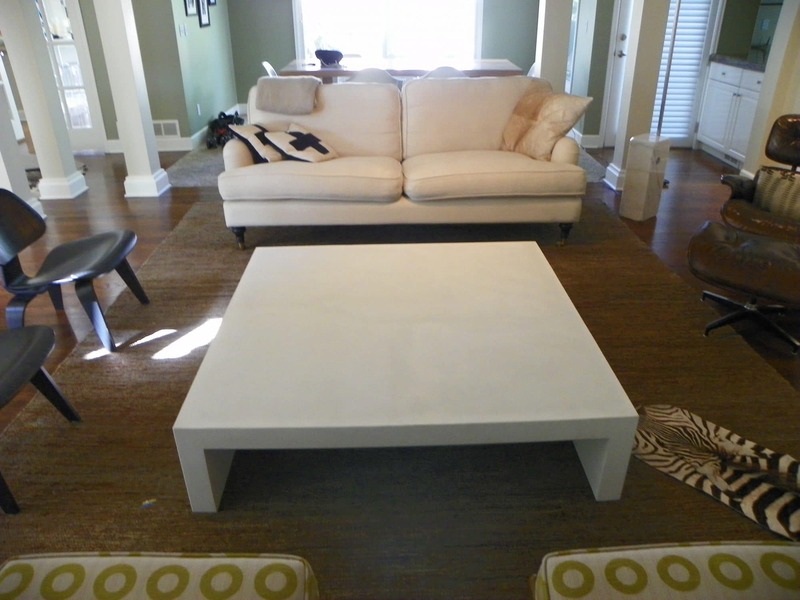 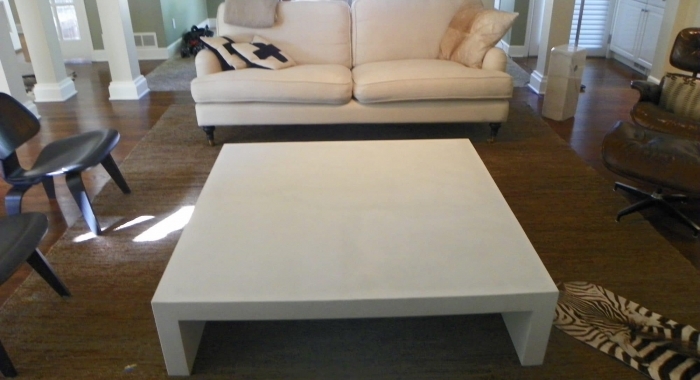 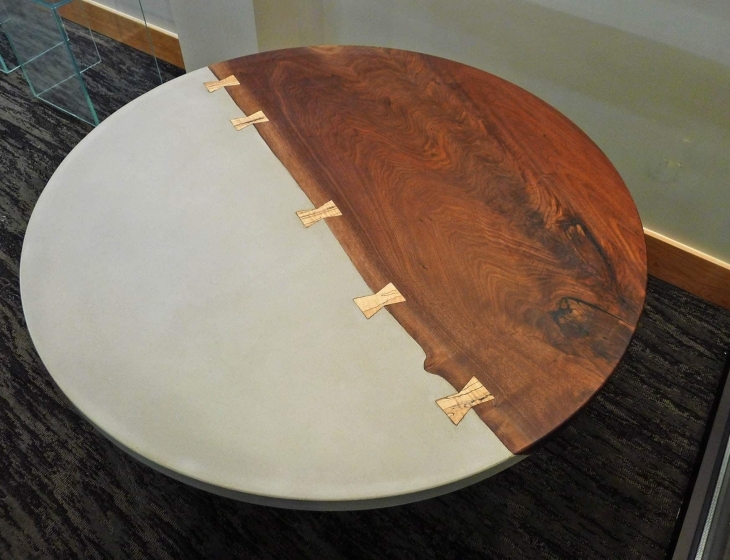 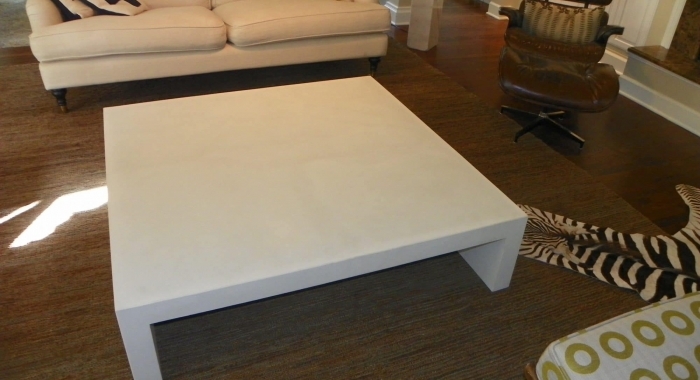 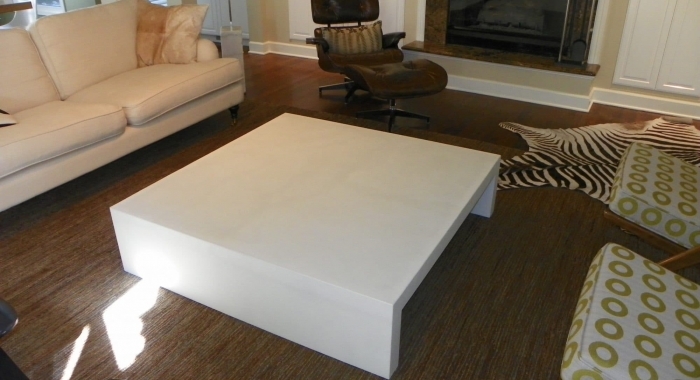 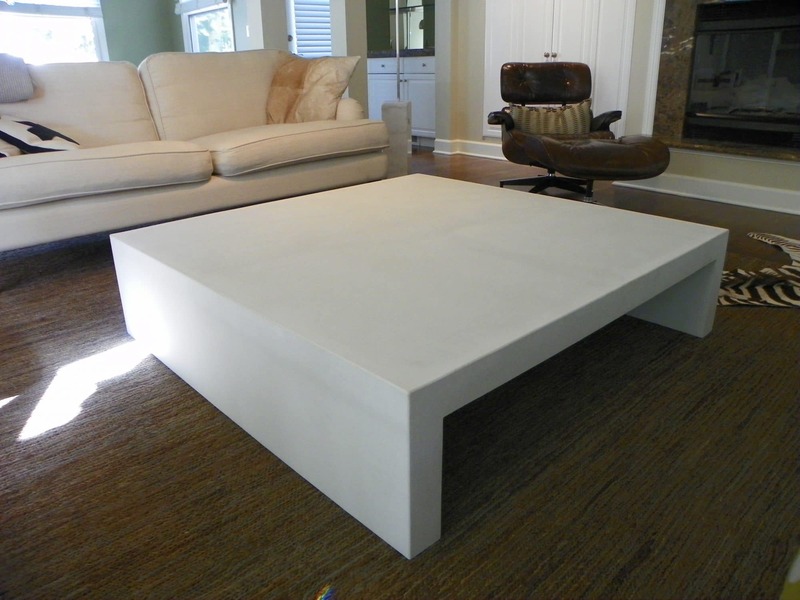 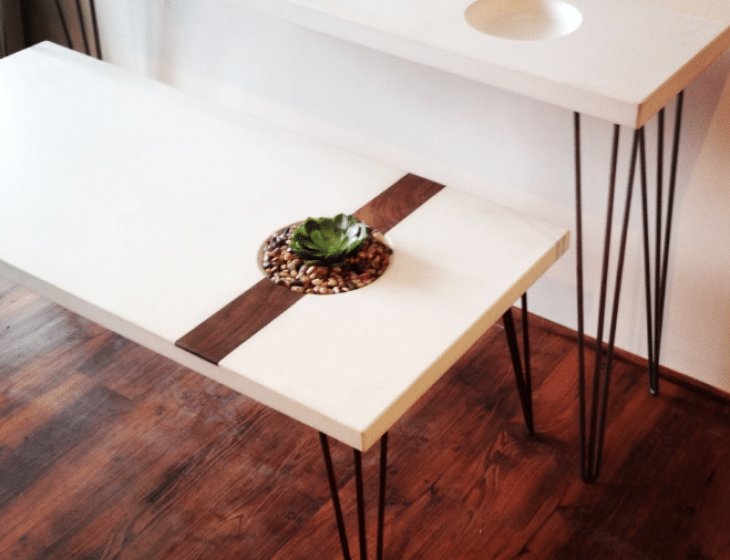 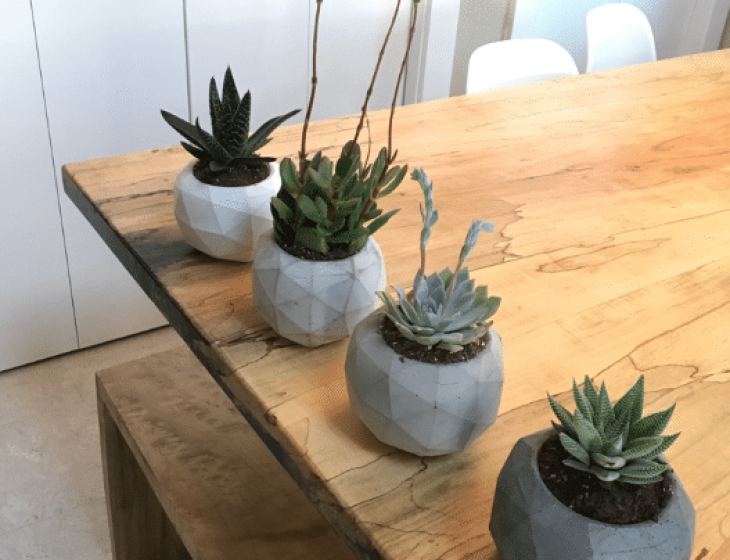 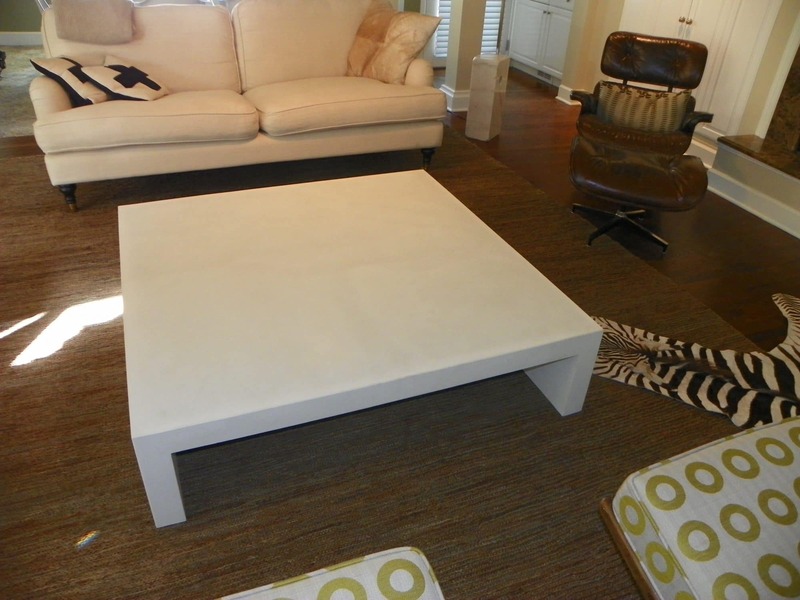 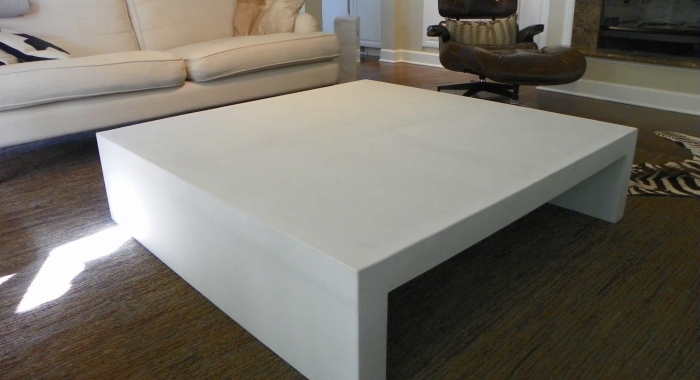 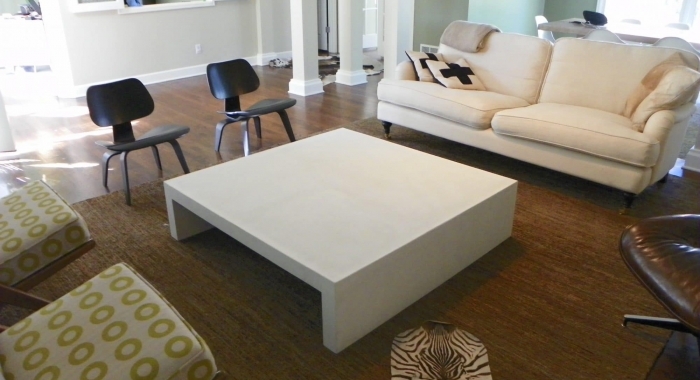 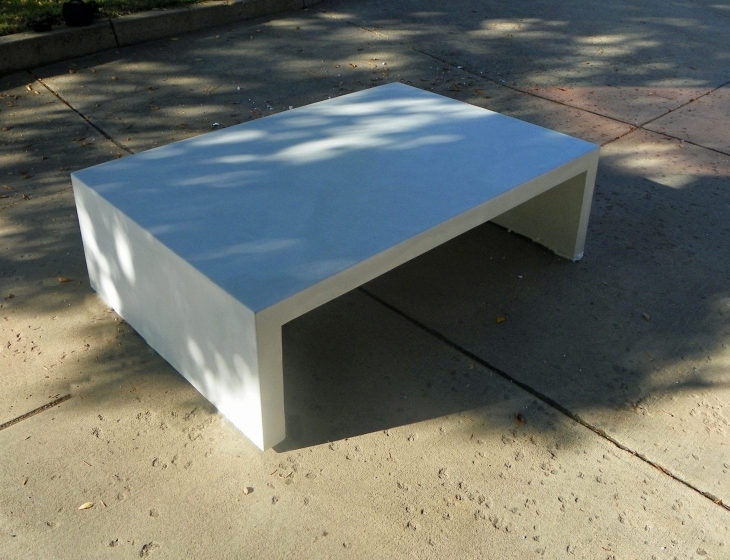 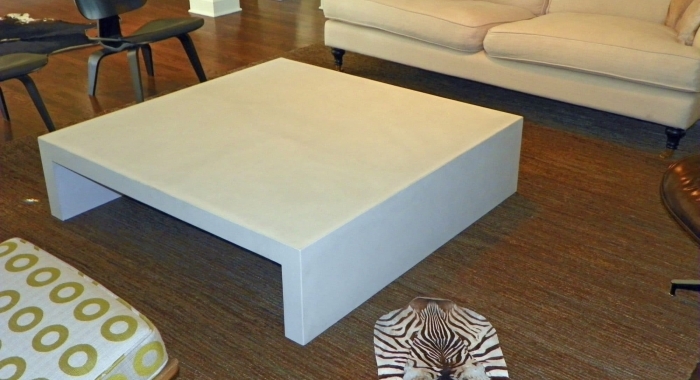 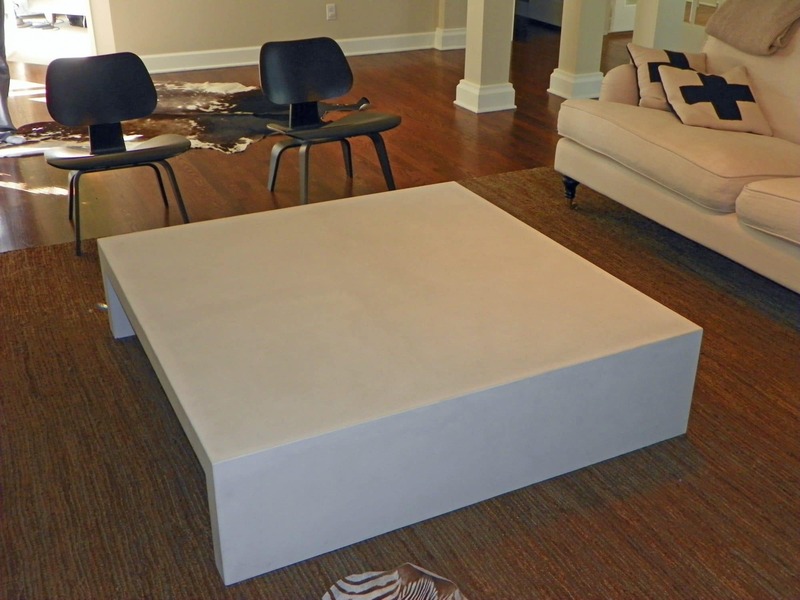 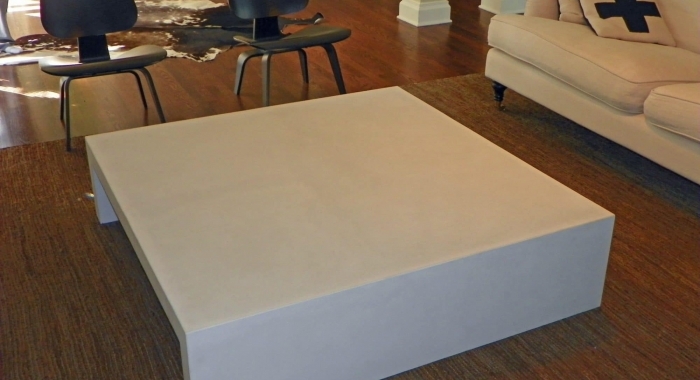 Checking in at 54″ x 54″ and dubbed the ‘Moby’ table, this sculptural white concrete coffee table is truly a piece of fine furniture. 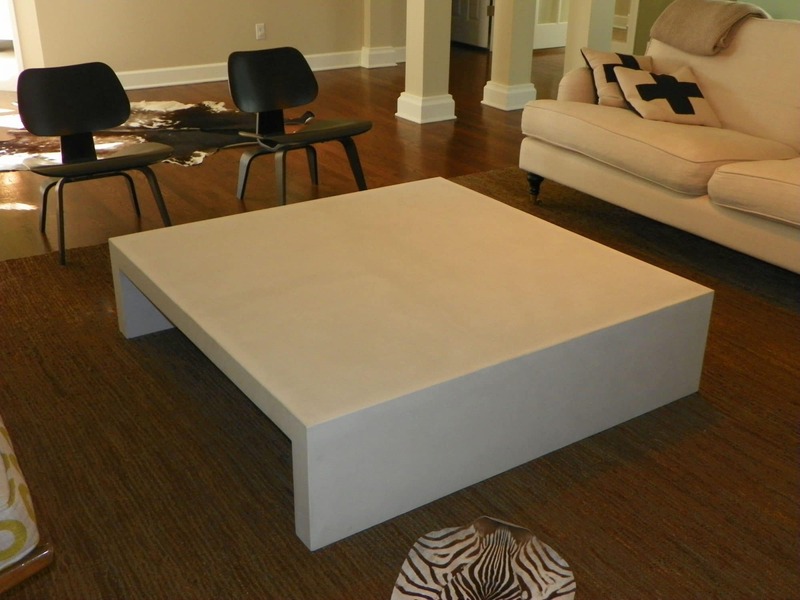 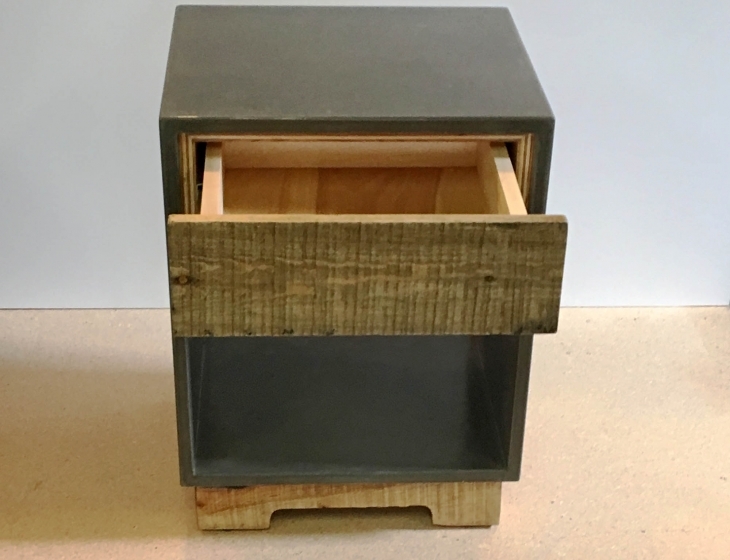 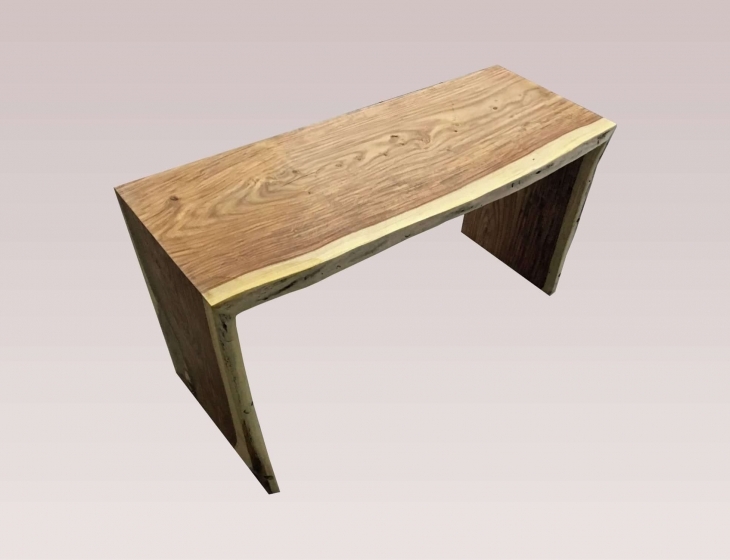 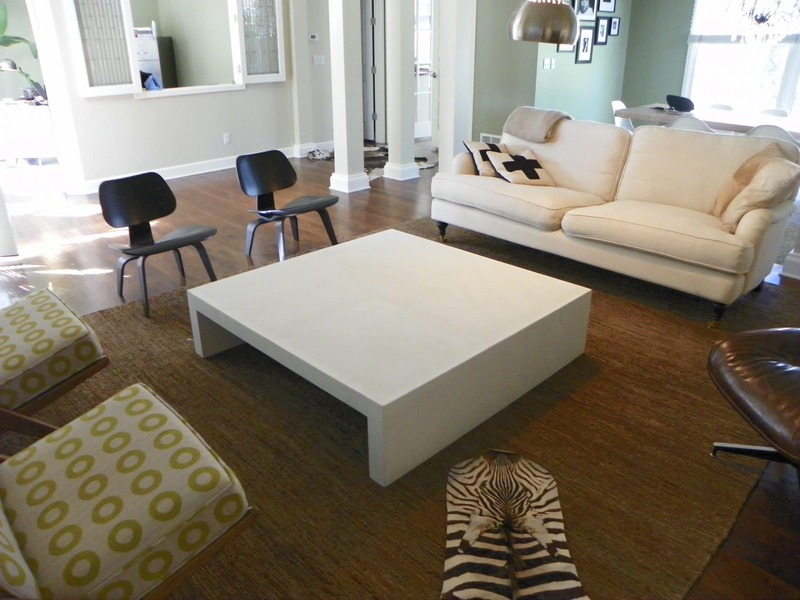 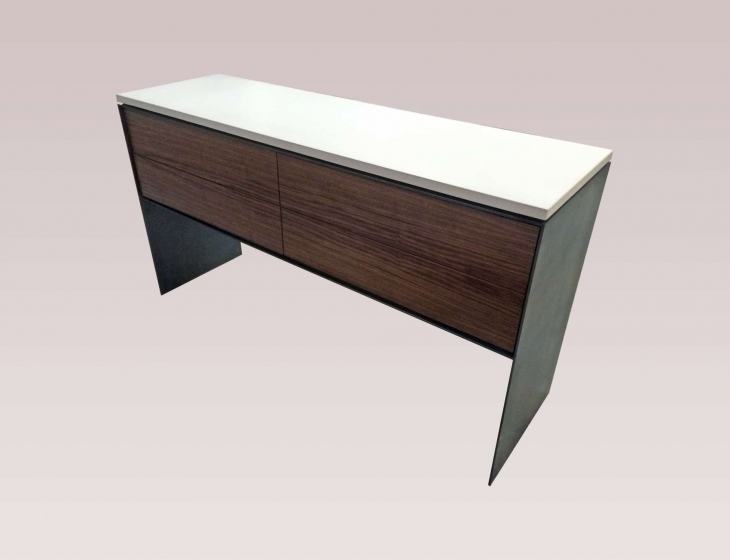 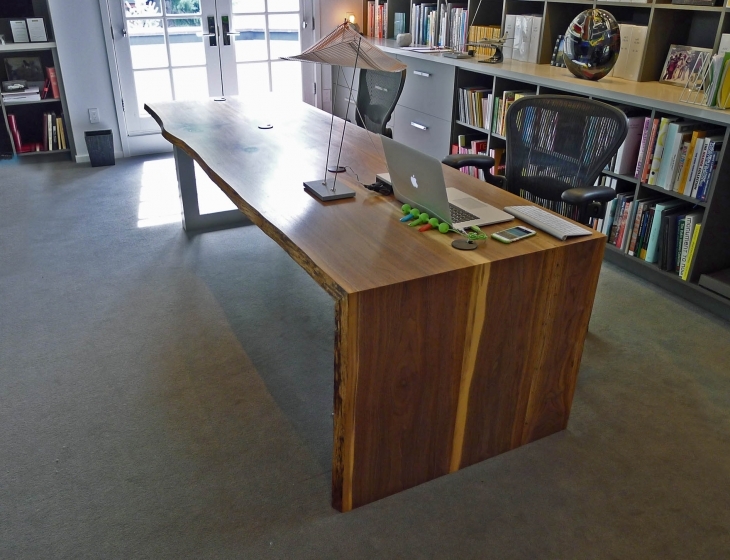 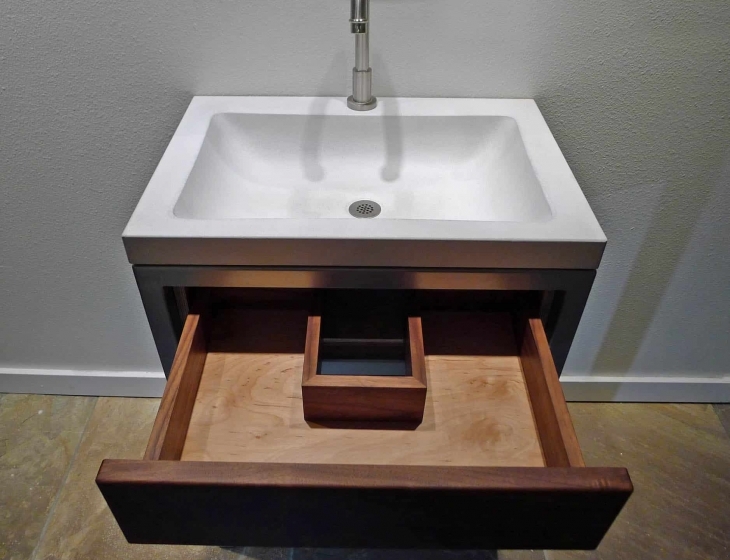 The table stands 13″ high on seamless integral waterfall legs to capture the low-slung modern vibe she was looking for.